If you like glamour with an edge, Dyrberg Kern has the look for you. 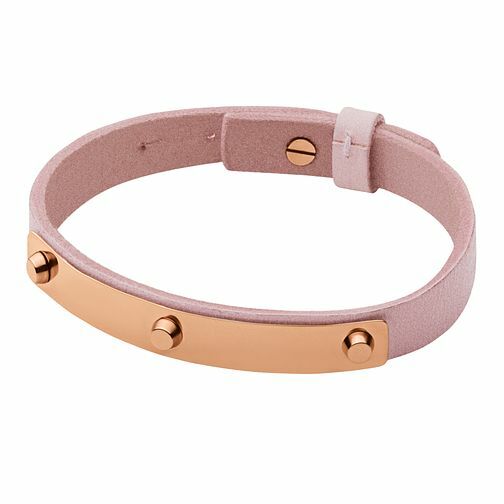 This stunning Kaya bracelet cuff features a warm rose gold toned plate set on a rose pink coloured leather for a feminine look. Stand out from the crowd with contemporary jewellery by Dyrberg Kern.